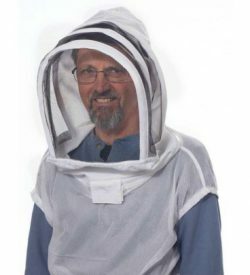 This veil works great as a back-up for when you want to do some quick work in the hive or for when you have visitors who want to come with you to inspect your hives. It is an extremely great value. 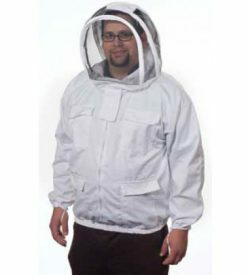 we suggest it for beginning beekeepers who are just trying beekeeping and who aren’t quite sure if they will continue past the first year. 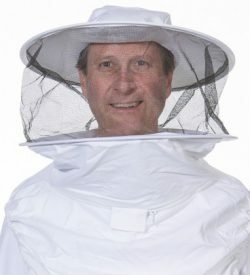 With this veil, there is very little investment up front but it does the trick in protecting you from getting stung. The hat portion is made from a light-weight cotton polyester blend. 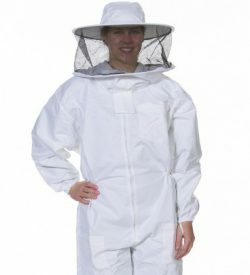 The veil portion is made from an equally light-weight and light colored mesh which runs from front to back. The face portion of the mesh is slightly darker in color from the rest which helps prevent sun from getting in your eyes. 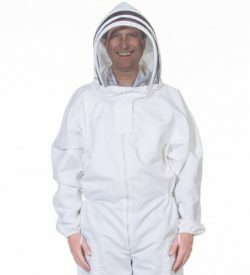 There is extra mesh around the bottom which should be tucked into your shirt or jacket. 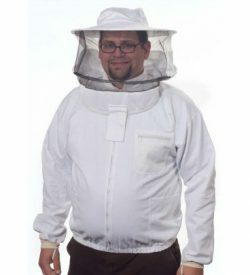 It is secured to your body by wrapping and tying the long polyester drawstrings to your chest underneath your shirt or jacket. 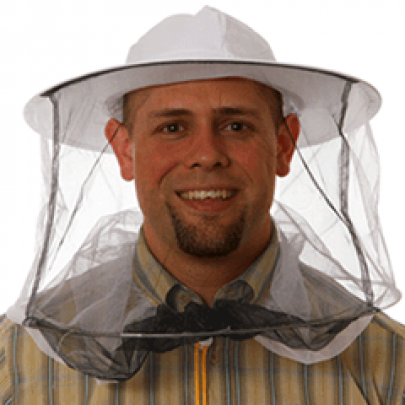 This drawstring veil fits up to a men’s size extra-large.